This month's Finder is an avid regular visitor at The Vintage Village we first got to know via Twitter, where she goes by the name of @LittlestMy or in 'real' life, Beth Taylor. We are great admirers of her distinctive personal style and impeccable taste. In fact, it was Beth's posts of photos of her super-enviable personal finds which inspired us to create our Visitors' Gallery! "I am an ex-ballet dancer, drummer and record shop worker whose finest moment was recording a session for John Peel. I am now a teaching assistant, bookshop worker and tea drinker who loves most things pre-owned or handmade. To be found either at school, the allotment or in a corner reading." We are so chuffed that she agreed to take on September's Finding mission - especially as it was our special First Birthday Bash Fair! - and I'm sure you'll agree that every single thing she's picked is a winner! My other half spotted this little beauty at Donald & Miss June (named after the stallholders' neighbours who are a stylish 1950s couple). 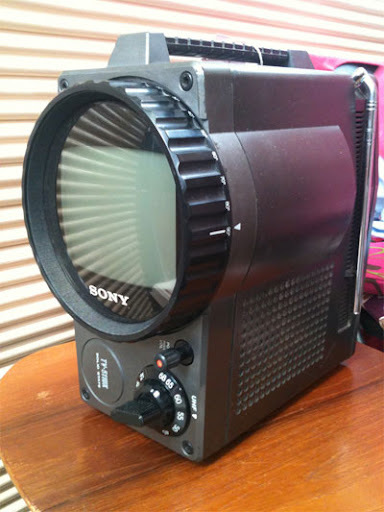 It is a portable TV from the 70s to take camping! 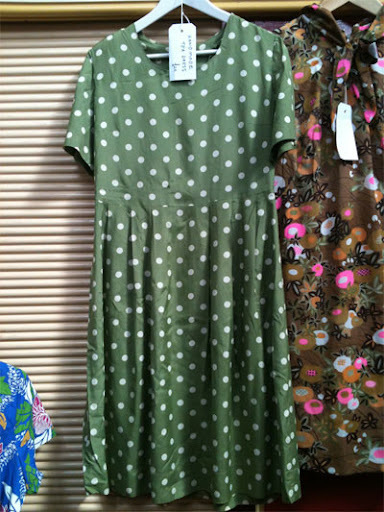 You cannot beat a polka dot, especially on a tea dress! All Our Yesterdays never disappoints. 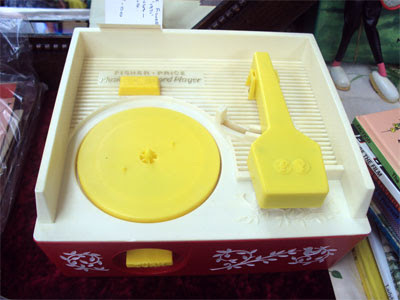 Wayne had a wonderful 1971 Fisher Price working record player that seriously tempted me but next time I looked, it had been bought"
Another favourite stall, Time For Tea and Cake, has a great selection. 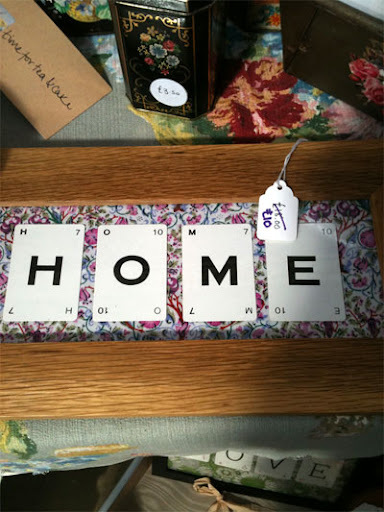 This would make a fab present for someone who has just moved house. 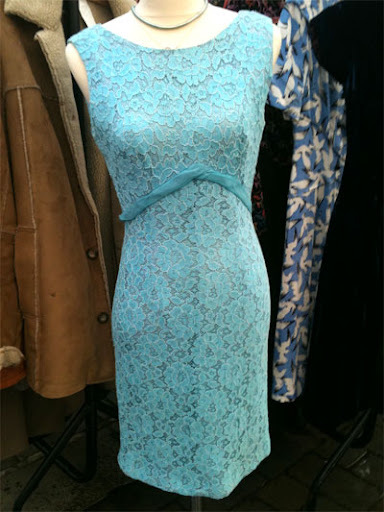 I am a regular at Village Vintage Clothing who have the most gorgeous dresses including this dreamy lace number that has a small train from the waist. Another missed opportunity as it had gone when I returned!! 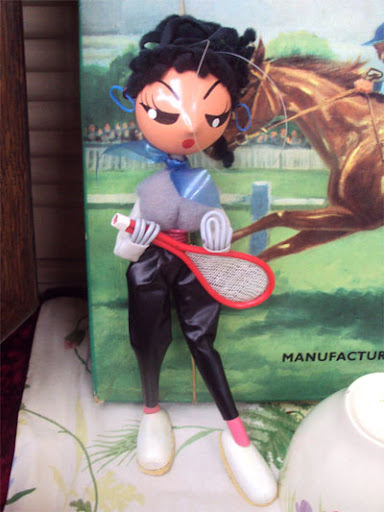 Every time I visit this stall, I always look at two beatnik girl dolls - this one is rockin' the tennis racket! Oooh Betty! 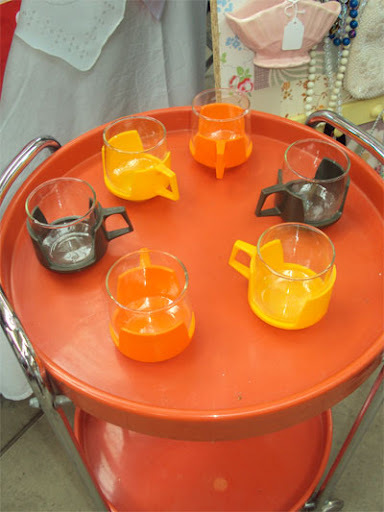 was right up my street with a combination of vintage and craft items. 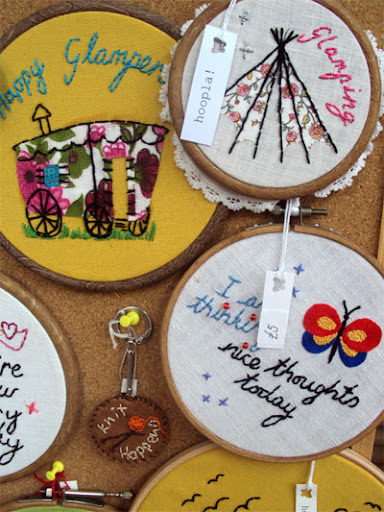 These embroidery hoops would make lovely presents. It wouldn't be right unless I mentioned my favourite stall Agnes Darling! A welcome return and all their profits today were donated to Royal Manchester Children's Hospital. 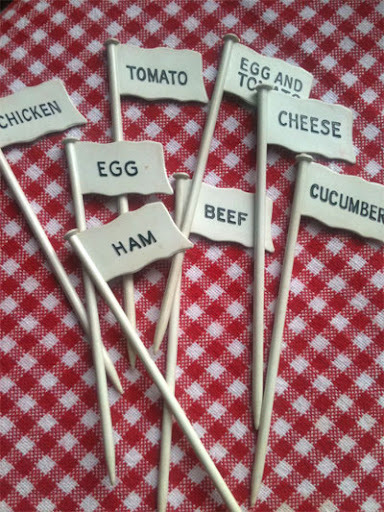 I could have bought all these vintage kitchen utensils. 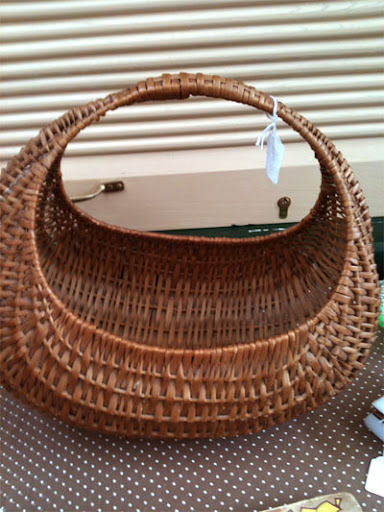 This basket caught my eye at Standing on the Landing as my daughter has a miniature version. 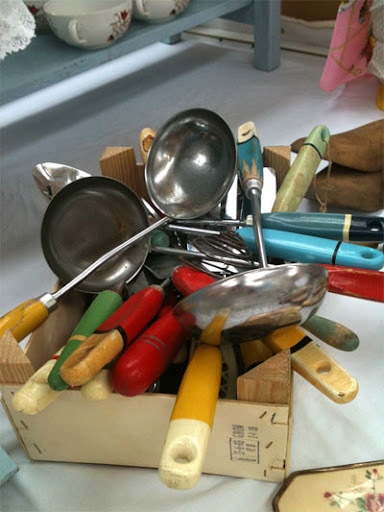 An elderly lady also looking mentioned that she took her cookery ingredients to school in one! 1960s coffee cups, £10 the set from Agnes Darling.